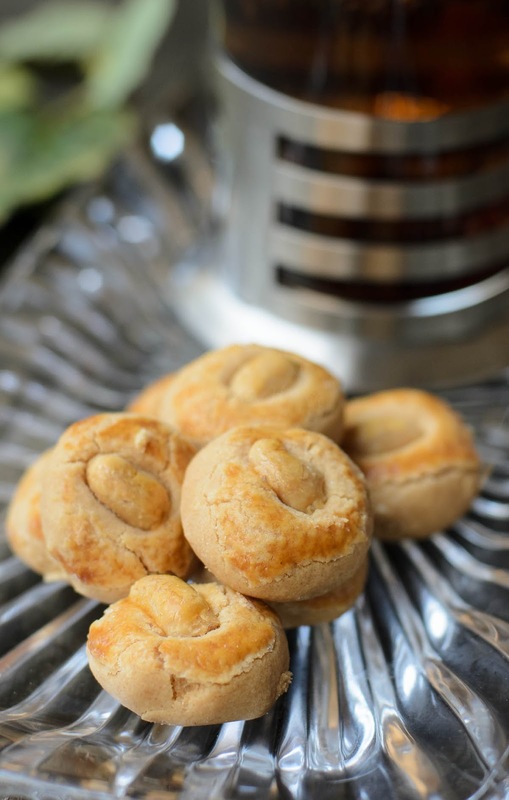 This is my third post on peanut cookies, and this is easiest to bake. With only 4 ingredients and a cheat 'method' to achieve that smooth, soft and melt-in the mouth texture. Bonus!!! I made a video to show you steps by steps on making these delicious, decadent, moreish peanut cookies. My first Peanut cookies post was published in my early blogging days, back in 2010. We were about to celebrate Chinese New Year. 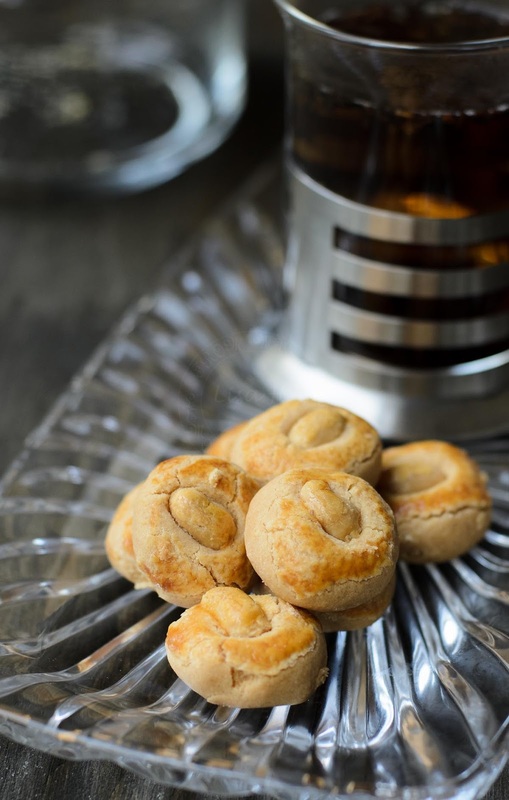 Why Peanut cookies for Chinese New Year? going back to that old post... as you may have noticed! I was really following the recipe. Roasting, grinding peanuts... all the hardwork!!! where I can easily substitute with PEANUT BUTTER!!! I was wiser in baking my second peanut cookies, which I posted late last year... Spiced Peanut Butter Cookies. I used cinnamon flavoured peanut butter! This time, with only 4 ingredients used. For vegan version Peanut cookies, just omit the final part of glazing/ brushing the egg yolk. 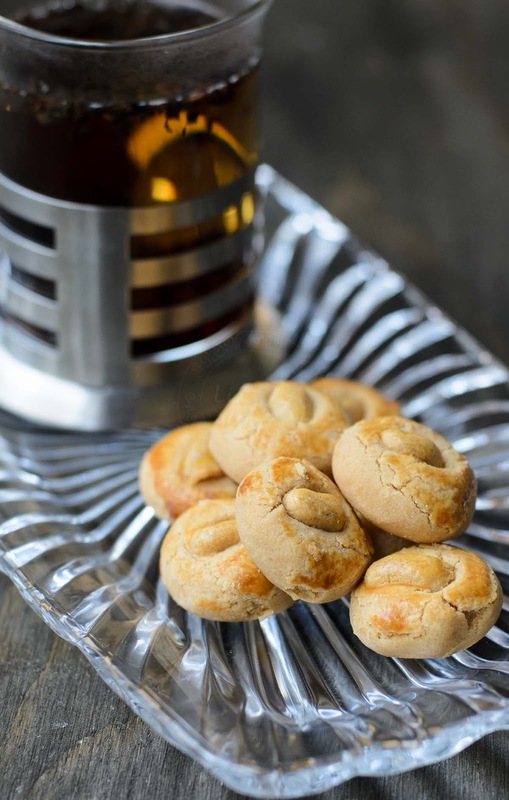 Do enjoy the short video on how to bake these delicious peanut cookies below :D.
With only 4 ingredients to bake these gorgeous soft, melt in the mouth peanut cookies. No eggs included in the dough. Add plain flour and sugar into a mixing bowl. Mix until peanut butter, sugar and flour mix. Add peanut oil, one tablespoon at a time, until all ingredients come together into a dough. Roll into marble size balls. 1) Increase sugar to 100g (in total) if you prefer the sweeter peanut cookies. 2) if you bake 2 trays at a time, do swap trays after 10 minutes.